What do you do after the tree is gone, and all that is left is a stump that might take years, even decades to rot away at nature’s speed? While you could have us grind the stump under ground level, you may just want to save the money for something else! Stump removal is a quite a demanding job, and can be surprisingly expensive when you compare it with the size of the tree that was just removed. However, there are a few practical options to remove a tree stump without too much trouble. You can decide for yourself which of these methods to use for which type of job. This guide will make things much easier for you in the long run. Using a chainsaw, cut off as much of the stump as possible, getting it as close to the ground as you can. Drill holes at 1 inch intervals around the circumference of the stump. Move inward by approximately 3 or 4 inches and drill additional holes as needed. These holes should be 8-12 inches deep depending on the size of the stump. Drill another set of holes around the sides so they meet with the holes in the top of the stump and create as close as possible a 45-degree angle. Pour potassium nitrate into the holes followed by water. Leave this mixture in the stump for six weeks, or until the stump becomes spongy. Use an axe to break up the spongy remains of the stump. Drill several holes from the top down into the center of the stump with your drill at a 30-degree angle, approximately 8-10 inches deep. Clean most of the debris out of the hole and you can use the plastic scoop or trowel to scoop potassium nitrate into each hole. Pour hot water into the hole until the potassium nitrate has dissolved - this may take several days until the granules have disappeared. The point here is to get them to soak into the stump. After the potassium nitrate has soaked into the stump and the water has basically dried out, light a fire on top of the stump, which will ignite the potassium nitrate. The stump will burn slowly for a few hours and then you should be able to remove the rest of the roots that are left fairly easily. The ice storm of 2007 is still enthusiastically talked about among people in Springfield. Like Fisherman comparing their catch, we’ll ask, “how many days were you without power?” And the number seems to get bigger every time we answer! This is the #1 emergency supply you need to have. A frozen or burst pipe can quickly cut off your access to water. FEMA recommends you have a gallon per person per day for drinking and sanitation. So a family of four needs approximately 28 gallons to last seven days. This can include things like crackers, dried fruit, trail mix, peanut butter; anything that has a reasonably long shelf-life (considered “non-perishable”) and worst case, can be eaten without cooking. This keeps you fed even if you lose power and roads are impassible. You should have enough for a minimum of 72 hours (3 days). Blankets are the most reliable source of heat in emergencies, so make sure you have enough for each person in your house. Kerosene heaters are a great source of emergency heat. In the worst of conditions, you’d need about 10 gallons to heat a 2500 square foot house for seven days. This makes it a very cost efficient way to heat your home in an emergency. Note: While Kerosene is a very efficient emergency heat source, it comes with its own risks. The Battlefield Fire Protection District says this: “The Fire Department does not recommend the use of kerosene heaters in homes. If you must use a kerosene heater, be sure to follow the manufacturer’s instructions carefully. Use only the manufacturer’s approved fuel. Store the fuel outside the house and always let the heater cool before filling it outside the home. Kerosene heaters must have adequate ventilation because they use up oxygen inside a room as they operate.” So make sure you’re following proper safety precautions when using kerosene as an emergency heat source. If your home has a wood burning fireplace, it will be a huge asset during winter, and especially during severe winter weather. As with any source of heat, there are some steps you should take to get it ready. It is recommended that you have your fireplace cleaned and inspected at the beginning of every cold season before you start using it. Once you know it’s safe to use, it will provide great warmth for you. If you have a stove-type fireplace with a flat surface, it can even be used for cooking if you lose power. It is very important to make sure your smoke detectors also have the ability to detect carbon monoxide, especially when using kerosene or wood fires for heat in an emergency. Make sure these are working properly at the beginning of winter. All it takes is one misstep on icy concrete to cause serious injury. Salting before and after snow or ice will melt it faster and provide some much needed traction. And if you can’t have pets in your house, your garage can provide some shelter from the elements. Ensure any exterior water lines are properly insulated, as this helps prevent burst pipes. The added weight of ice and snow can cause branches, sometimes even entire trees to fall on your house or property. It isn’t always obvious to the untrained eye which branches or trees are at risk. If you are concerned about the risk this winter, give us a call. We can help you make the best decisions for your house and trees when it comes to trimming. As we mentioned recently, winter trimming is good for your trees anyway. Want more info? See our Tree Trimming and Tree Removal pages for more details, and then give us a call to set up a free in-person estimate. Why is it Better to Trim my Trees in the Winter? 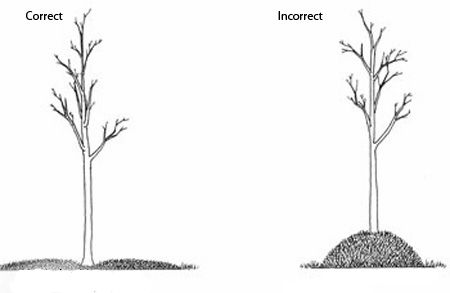 You might heard that pruning during late winter is better for your trees. In this post, we’re going to explore some of the reasons for this with you, as well as some exceptions and some problems to keep your eye out for. We’ll start off with a simple list of reasons, and then we’ll explain in further detail. Fungus, disease and insects are dormant during the winter. It’s easier to see the structure of the tree, which gives a clearer picture of what needs to be removed to promote healthy growth. The tree being trimmed is dormant. This means that the tree will not waste energy on a sort of shock reaction. The ground is harder. This makes it easier for us to get the necessary equipment to the tree without leaving ruts in your beautiful lawn! Now that we know the reasons we trim trees in the winter, we can take a look at some exceptions. Trees that bloom in the spring. While it’s healthier to trim these trees in the winter, they will not bloom nearly as nicely after being trimmed because their energy is being put into growing new limbs. If these spring bloomers cheer you up after a long winter, it’s fine to trim them immediately after they finish blooming. Normally, we trim trees when we won’t cause any damage at all. But when a tree is damaged or diseased, it becomes a matter of causing a little bit of damage now, or risking extensive damage (sometimes even death) to the tree. This is not as common, but sometimes, we want a tree, or even just certain branches, to grow more slowly. One easy example of this would be a bonsai tree. Another example is balancing the growth of a mature or leaning tree to prevent it collapsing under its own weight. If you have a tree that needs some attention, this winter is the time to do it. Give us a call today to schedule a free in-person estimate, and we’ll get your tree ready to grow beautifully this year. Trimming trees is somewhat like performing surgery. When you trim branches, or limbs, you’re exposing the trees nutrient delivery system. This works much like our veins and arteries. Instead of veins and arteries, a tree has xylem and phloem. When a branch is removed, whether by trimming or much more destructively during a storm, these “veins” are exposed to the air. During the warmer months, this exposure can give diseases and fungus that feed on your trees an easy way in. Trimming during the winter reduces or eliminates these risks, because most, if not all of the disease, fungus, and insects that affect trees are dormant. This gives the exposed flesh of the tree time to dry out and harden, acting almost like a scab. When a tree has no leaves, all that’s left are the branches. With the experience we have working with trees, we can detect any risks to the health of the tree and remove branches in the right places to set the tree up for good, balanced growth. This will make your tree more and more beautiful as it grows. Sometimes, it takes multiple years of trimming to get a tree to grow properly. Much like our own muscles, when a tree detects damage, it typically starts growing to strengthen the damaged area. In nature, this is designed to help the tree reduce the amount of damage caused by branches being snapped off. As we explained above, we remove branches to promote balanced growth. Trees don’t know that of course, so they’ll still try to reinforce the “damage” we cause. But during winter, trees are essentially hibernating, so this growth won’t happen. This allows us to remove any potentially problematic branches without this regrowth. Trees most often give telltale signs when they are unhealthy or weak. Knowing some of the most common signs can help you as a homeowner take good stewardship of your property, preventing further damage, expense, and trouble. Not all ornamental trees are small, and all of them require some level of pruning to cause them to keep their pretty shape. Don’t let the tree you planned on being small and pretty to become a monster! If you learn how to mulch effectively, you will improve your tree and landscaping experience in many ways. You will improve the beauty of your landscape and the health of your tree, as well as reducing some of the work that you have to do, like watering and fertilizing. It is, however, very important that it is done correctly, or it can be counter-productive! Mulching is when you cover the ground with wood chips, grass, leaves, or rocks, although most of the time you’ll use wood chips. There are several direct benefits to doing this with wood mulch: it impacts the moisture retention, nourishes, and can increase the aesthetic value of the tree. One of the main ways mulching helps you is that it retains moisture in the soil surrounding the tree by protecting the soil from the sun to prevent evaporation. Applying it also decreases the likelihood of water running away out from the soil during watering or rainfall as the mulch will soak up water. It’s not easy to find time to make sure our trees are watered properly, but mulch significantly reduces the concern there. Mulching is also said to help keep away grass and plants. Plants around the tree detract from a tree by stealing nutrition and moisture from the base of the tree, however insignificantly. Also, when cutting the grass with a weedeater, it can damage the bark of the tree. You will have to keep an eye on the mulch as it disintegrates and be ready to pile more mulch on (maybe once a year) to keep it at its original depth. That way, you will continue to block the sunlight from the weeds as they sprout. As mulch decomposes, it will add beneficial nutrients to the soil as well as preventing nutrients from leaching out. If you want to give it a nutritional boost, then add some sort of composted material as a mulch. Mulch will loosen the soil, giving the roots more room to breath. It has such a significant benefit to plant life, that some gardeners create great beds of mulch to garden in, with very good results. Finally, if you have fruit trees, you can mulch even further out to provide a clean surface for the fruit to fall on --no more long forgotten rotten fruit at the bottom of your tree. Spread the mulch out evenly under any trees or shrubs on your property. It is suggested that you spread the mulch out to the drip line of the branches, or at least at a radius of 4-5 feet. Make sure that the mulch is not piled up on the trunk, as this will encourage rotting, disease, but even more significantly, mounding the mulch can encourage the tree to begin to build its root system into the mound of mulch instead of the firm underlying soil. It's very important to spread the mulch as shown in the image. While Bradford pears are quick growing ornamental trees that have beautiful flowers in the spring and colorful leaves in the fall, you may want to think twice before planting one in your yard. So you think I should trim my trees? If you are like me, you may have wondered why it’s so important to keep trees trimmed properly. In my upbringing, we really didn’t pay that much attention to trimming our trees - we let them take nature’s course. And I guess that worked out alright for a country boy who grew up around the Lake of the Ozarks area. I surely enjoyed climbing many a tree, and we burned firewood as our main source of heat, but it wasn’t until I moved to the Springfield, Missouri area that I gained a real appreciation for what a properly trimmed tree can look like. When you live in the city, it becomes especially important because trees grow amongst houses and over fences and sheds (and sometimes power lines). But there is something really satisfying about looking at a tree that has been cared for its entire lifespan, from sapling to aged tree. If you have the luxury of starting young with your trees, by all means do. You can form the health and shape of your trees, preparing them for a long and beautiful life. In dollars and cents, what that means for you is fewer tree removal and trimming bills, and higher property valuation. Keep in mind that different kinds of trees prefer to be trimmed and different times of the year, although it is risky for the health of the tree to trim them when they are just budding in the spring until they have fully leafed out. However, there are a number of reasons why you may need to do that in the spring in Missouri, with our heavy storms and storm damage.